Been a long time since I have posted. Just finished going through my works busy season so I just hadn't had time to post anything. Rest assured though I have been busy at work and have tonnes of stuff to post. With that in mind I am going to start off with my newest beast, Rok. He is the other close combat character heavy in Trolls, but sadly is basically Mulgs red headed step brother...minus the red hair (still no soul). 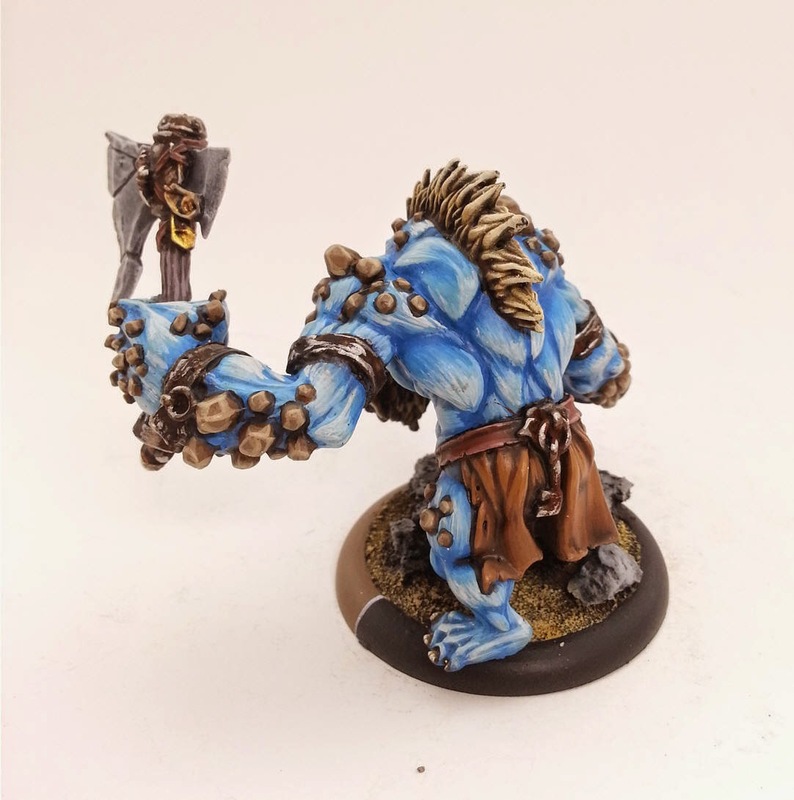 He is a frost troll so I wanted to make him look like he was partially made of ice but still fitting into the scheme of the army. Oddly enough there actually is a lot of green stuff work on this guy. His right elbow and for-arm are completely resculpted. The original posing of the model made it look like he was trying to tickle his opponents balls, which to me looked...odd. I think now he has more of a "come at me bro!" style pose. 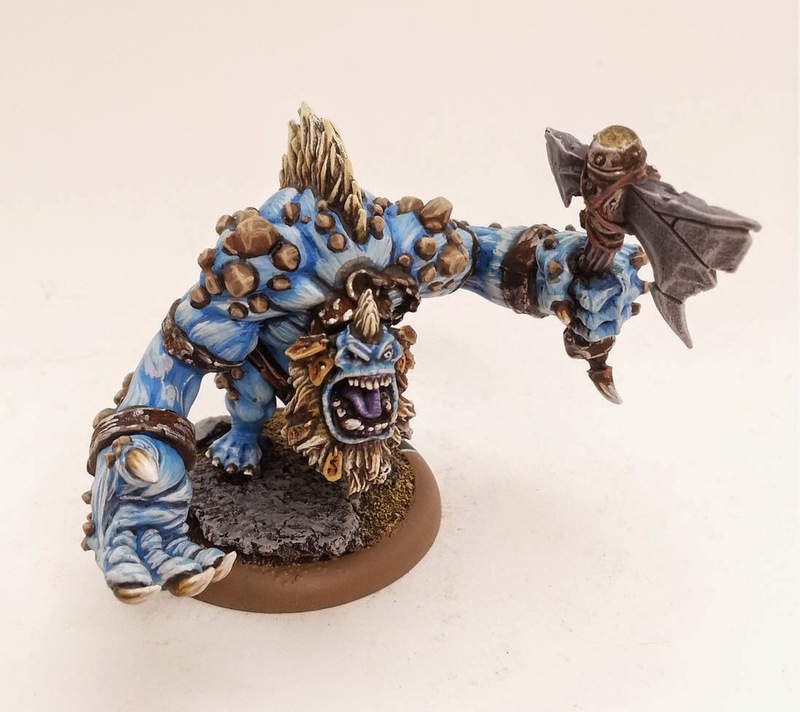 I am really happy with his colour palette and I think when the Glacier King is released later this year I will paint him the same way.